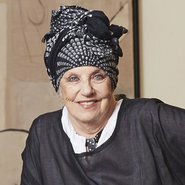 Wendy Whiteley is the iconic muse and former partner of one of Australia’s most treasured artists Brett Whiteley. Tonight she appears in conversation with Anne Ryan, curator of the first exhibition dedicated to Whiteley’s drawings. They will also be joined by art writer Lou Klepac, who has written one of the most comprehensive books on Whiteley’s drawings—the medium at the heart of the artist’s expressive and exuberant body of work. Following the talk, meet Wendy and Lou as they sign copies of Lou’s book, Brett Whiteley: Drawings at the Gallery shop.